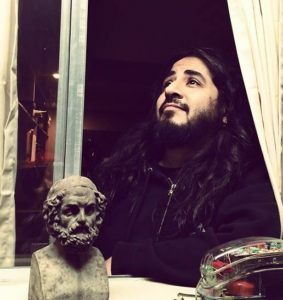 I had the pleasure of sending John Santos (artist extraordinaire, hockey fanatic, connoisseur of the musically sullen and burdensome, homegrown magician and a Colorado native) a few questions about his breathtaking artwork, involvement in an assortment of passion projects, preferred artistic weapons of choice, and unyielding love affair with the Colorado Avalanche and hockey in general. To get a better look at his fine work, follow him on Instagram (@santosian) or check out some of his work at Big Cartel. I was looking at that “Brainoil” (for lack of an appropriate title) sketch on Facebook. It’s incredible. Where does the inspiration for such a design come from? What’s your creative process like? Thank you. 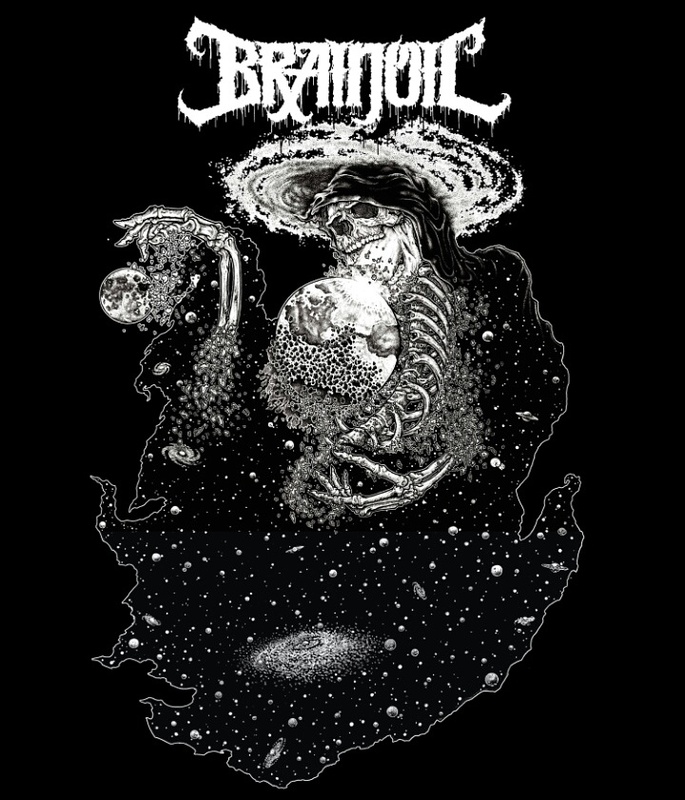 Brainoil has been a band that I have wanted to work with for a while, so I was looking to get them a design fitting of their music. The inspiration for that particular design came from an idea that Greg Wilkinson had when we first talked about the project. The theme was the Earth being sucked dry. As far as process goes, I start with any ideas, themes, or subjects that the client may have. I like to ask a lot of questions to make sure that the design is something that is starting in the right direction. I will then sketch out ideas and go back and forth until they okay a design. The design then gets tightened up and I will send the client a sample file of the final pencils before I start to ink. How did you end up working with Kvelertak? What was it like touring with them? I met the guys in 2012 when I was doing merch for Torche while they were on tour with Converge and Kvelertak. They’re seriously some of the nicest guys around and so damned fun. We had a blast hanging out on that tour and it set up a fluid work environment for their 2016 headlining US run. It was one of the easier tours that I have been on. Besides bands and some microbrews, what other brands or projects have you designed for? I did a shirt for Volcom’s artist series around 2008 and designed a few posters for festivals.I’m currently starting to work with a cannabis company, designing some packaging. 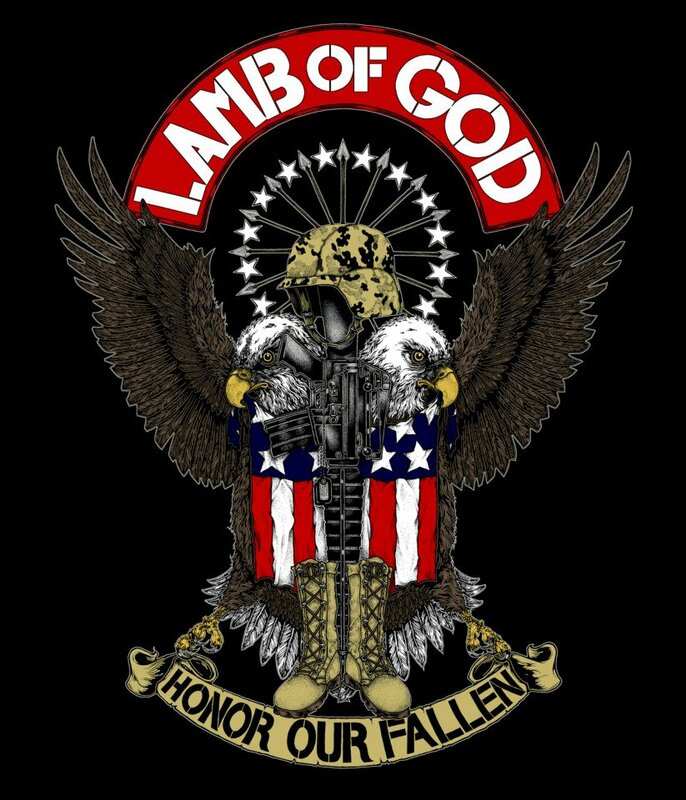 Looking back, are there any projects or designs that are personal favorites of yours? 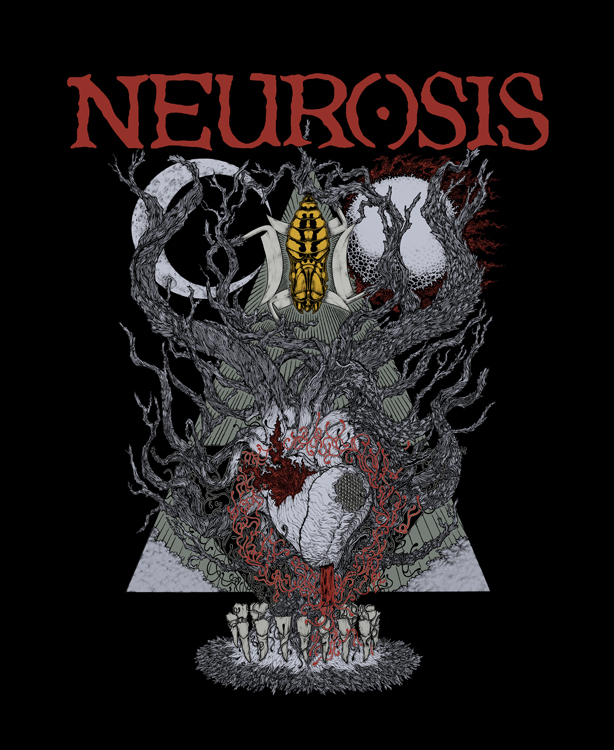 A recent favorite would be my design for Neurosis’ 30th Anniversary shows. The project blew me away, as they’ve been one of my favorite bands since the late 80’s. 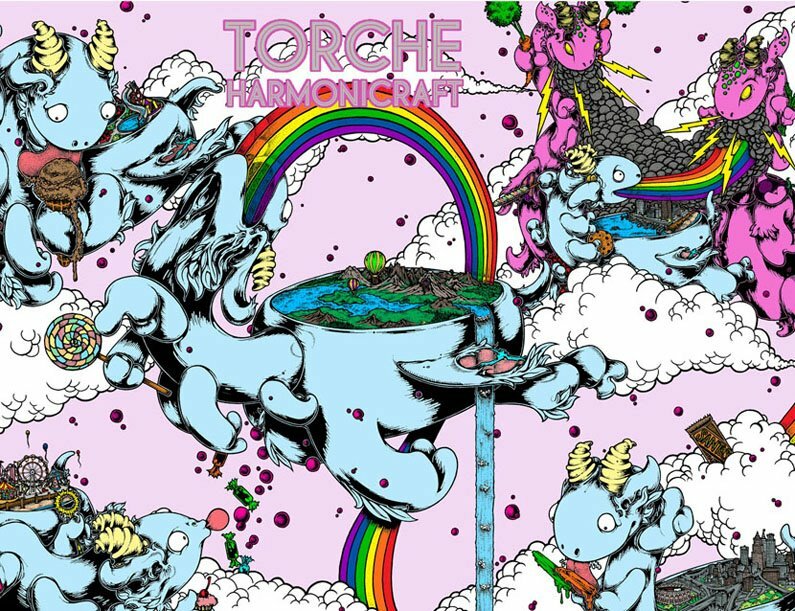 Another would be the “Harmonicraft” cover that I drew up for Torche. It took me out of my comfort zone and added a new dimension to my artistic style. Which NHL team has the best logo? If you could redesign the logo of an NHL team, which one would you choose? Three way tie between the Flyers, Maple Leafs, and the old Colorado Rockies NHL team. I might change the Blue Jackets logo so that it doesn’t look so much like the Avalanche’s logo. What do the Colorado Avalanche have to do next year to make the playoffs? Were you surprised by the resignation of Patrick Roy? Who’s your favorite player on their current roster and why? Finally address the fact that their defense has been spotty for years now. I wasn’t too surprised Roy left. He wanted a more hands on approach to molding the team, didn’t get it, so being Patrick Roy, he left. I’m okay with it. He’s still my favorite Avalanche player and favorite player ever. Hands down. On a scale from 1-10, how surprised were you about PK Subban being traded to Nashville for Shea Weber? I knew he would be going somewhere, but didn’t think it would be the Preds. I hope that he kills it there though. It’s nice that the Avs won’t have to deal with Weber, but Subban is a worthy replacement and will be just as exciting to watch. Do you think an NHL team would do well in a market like Seattle? How many years do you think it’ll take before that Las Vegas expansion franchise flames out? I think it would do excellent in Seattle. Too bad that Gary Bettman (NHL Commissioner) is trying to stick teams in the middle of the desert. I give it six or seven years, but who knows. Hell, Phoenix still has a team. How many times per year do your friends harass you for rad tattoo sketches? A lot. Luckily it’s in my business practices that I DON’T do tattoo designs for anyone. What kind of sketching/illustration materials do you prefer to use? I use Zebra M-301 pencils, light blue non-photo pencils, Zebra F-701 pens, Sakura Micron 005-02, Copic MultiLiners and brushes, and Bristol or Paris Paper. What are other creative pursuits are you involved in (outside of illustration)? I’ve been getting back into painting and am working on a cover for RWAKE that is in acrylic. I also have a full screen printing set-up that I’ll be putting together in my basement to start to print my own goods. I’ve screen printed for years and love doing the work. 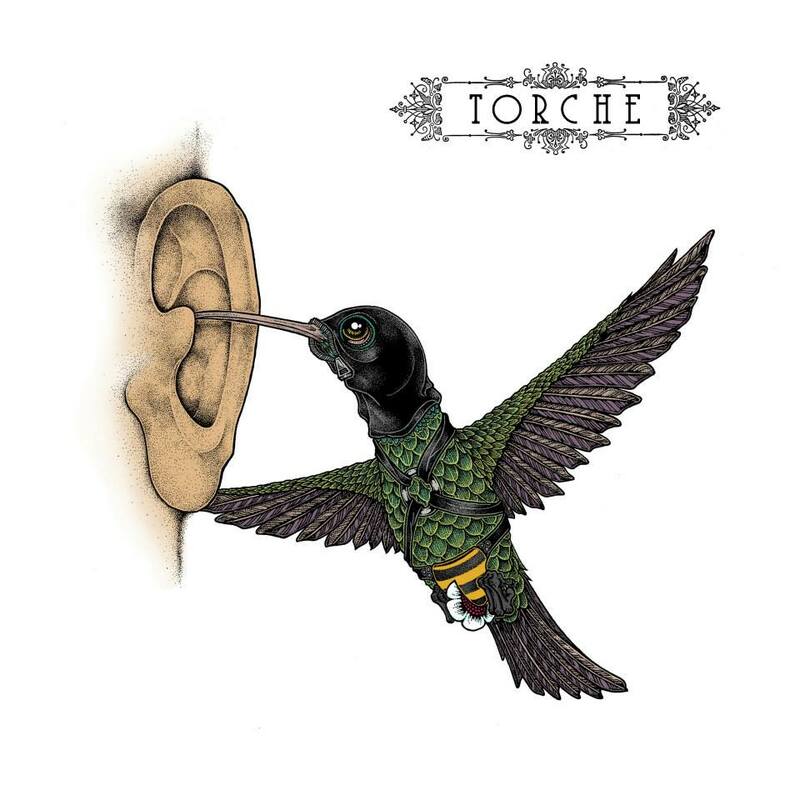 What is some of your favorite album art of all-time? Including some album art you may have worked on. That’s kind of a hard one. 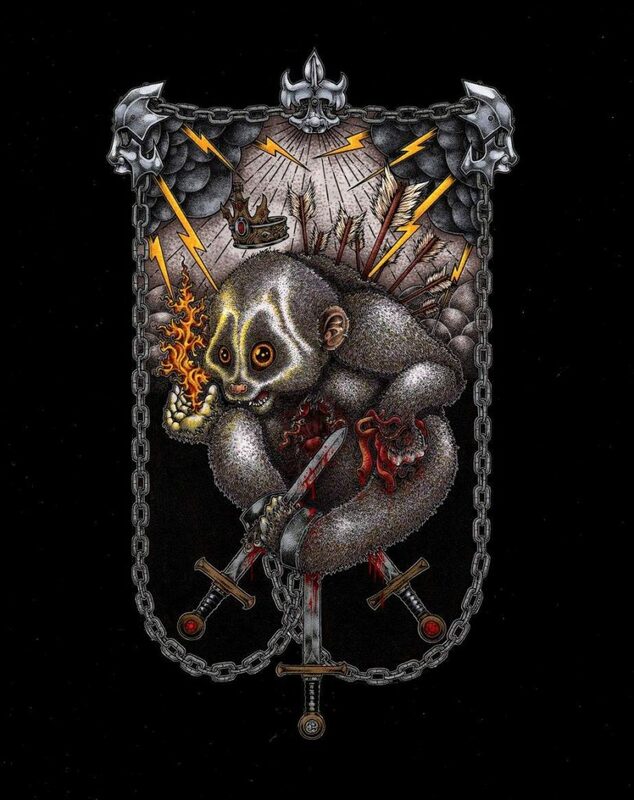 Derrick Riggs’ Iron maiden covers have always been a favorite, with the single for “Aces High” being my favorite. Of course Pushead, RK Sloane, Jeff Gaither, and Arik Roper, and Paul Romano are a few artists who always kill when it comes to their album covers. What bands or television shows are you into currently? 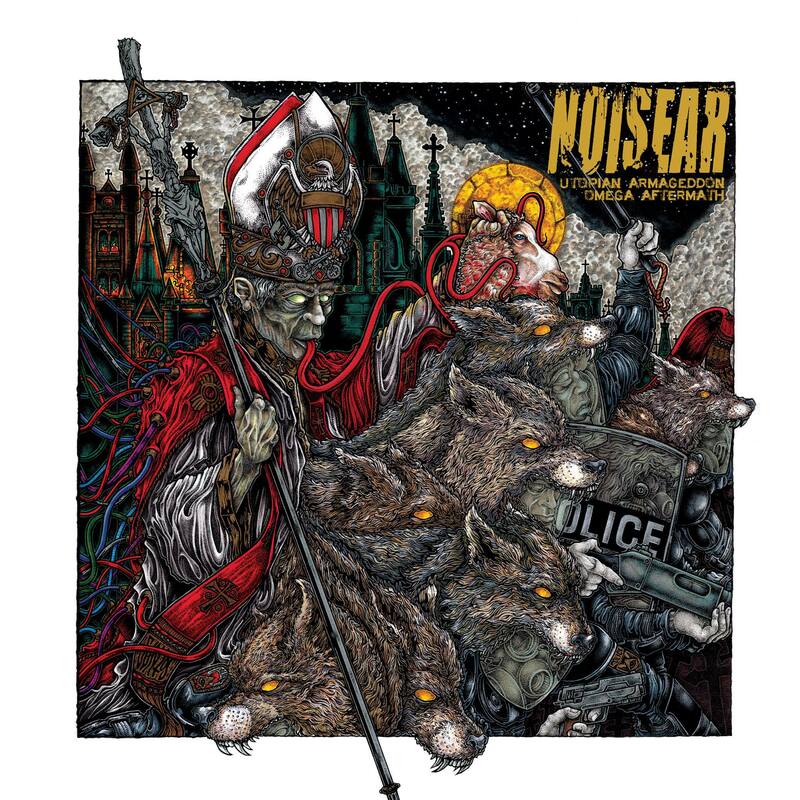 Currently listening to Oathbreaker, Graves At Sea, and Publicist UK a lot. As far as TV goes, I think mostly just watching Netflix shows until hockey season is back. What are some of your favorite illustrators or artists? If you could collaborate with anyone (living or dead), who would you work with? Gustave Doré, Pushead, Derrick Riggs, Bernie Wrightson, John Byrne, Arthur Adams, Aaron Horkey, and Vaughn Bode are some that I’ve admired for some time. It would have been amazing to work with Doré, but Derrick Riggs and Arthur Adams would be amazing artists to collaborate with. Riggs’ cover art is where I started my obsession over wanting to create cover art. Arthur Adams because I was captivated by his comic book illustrations to the point where some fell apart from handling. Is there anything we haven’t addressed that you would like the Internet to know? Just know that there are a ton of awesome artists out there killing it every day. It’s been incredible to be a part of such a great community of people and they all drive me to go further. Support the artists that you love no matter what the medium.